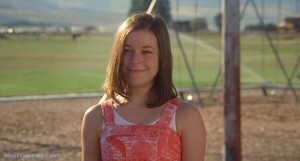 ‘True Blood’ Casts Tina Majorino!!! Holy Diver!!! HBO’s ‘True Blood’ has added yet another character to their show. Tina Majorino has been added to the cast of the vampire/werewolf/werepanther/ghost/witch series on HBO. She will play a vital member of the Vampire Authority who will appear in the third episode of this coming up season according to TVLine. You might recognize Majorino from ‘Veronica Mars’, ‘Napoleon Dynamite’, ‘Andre’, and ‘Bones’. I’m a fan of Majorino, and I think she’ll add her special brand of charisma to the already over-the-top series. ‘True Blood’ starts June 10th. This entry was posted on Friday, June 1st, 2012 at 12:46 am	and is filed under News, Television. You can follow any responses to this entry through the RSS 2.0 feed. You can skip to the end and leave a response. Pinging is currently not allowed. « Fox Announces Its 2014 Slate!! Expect ID4 in 3D!! !